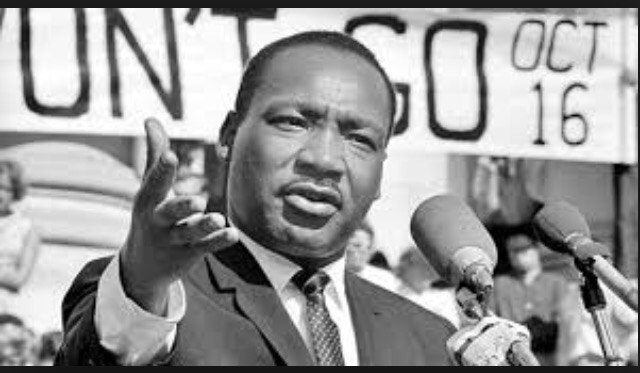 Black history and Martin Luther King Jr. Are almost synonymous. His major accomplishments involved fighting for the rights of blacks. So it is heart wrenching when I hear minorities hate other races (including white). Dr. Kings dream was that EVERYONE live together in peace. No hatred among any race (black, white, or green). I have biracial children (Latino and Black) and it amazes me how people speak badly of Hispanics at times. We are all humans and we all deserve respect. Then when we visited other Latin countries and even Puerto Rico there is a differentiation between light skin and dark skin (same ethnic background). That is amazing to me. I realize that the world is a step closer to Dr. Kings dream but we have a long long way to go. We got our first real snow this past Tuesday. A snow that the weather man said would be a dusting and gone by noon. My area got 4 inches so I guess the weather man is from Chicago or something because 4 inches in the DMV is not a dusting. To top it all off the schools in our district opened on time (probably because they thought it was going to be a dusting too). This was a hazard to the kids and out of the 11 years my kids have been in this school district I have never called the school board to complain. I saw a teacher almost get hit by a school bus and I realized someone got it wrong. Tuesday night our school’s superintendent apologized for putting our kids at risk by not at least opening late. I question if that is enough. Of course it is nice to see that they were smart enough to issue the apology but last year they got it wrong too. There was a horrible ice storm in our area and they did not shut down. On my way to drop my son off at school my car slipped and slid and in a two block radius I saw four car accidents. At what point do we say this person is not making good decisions and may not be a good fit for our schools. Will it take someone losing their life to a weather related accident trying to get kids to school or a kid on his/her way to school. We received an apology last year too but I just feel that these apologies are not enough, I have made a decision to become more involved to see what difference I can make and how I can help ensure that these mistakes/bad judgment calls are avoided. My first step is attending the school board meetings.